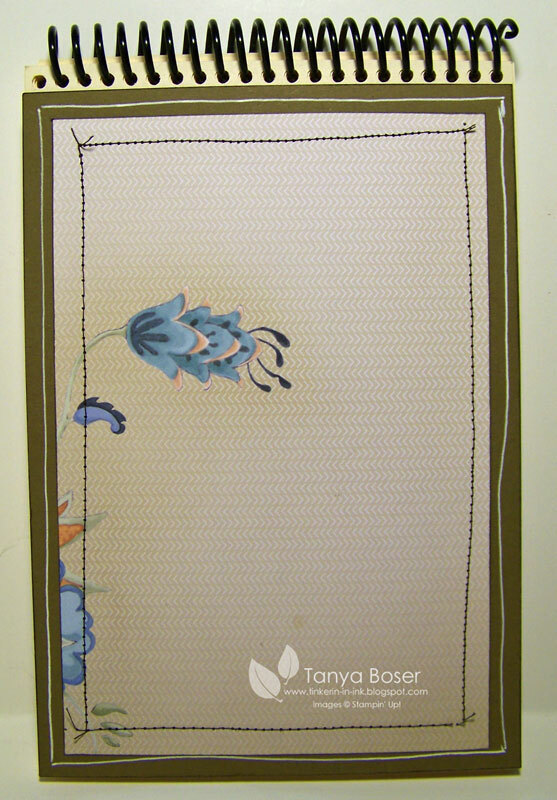 I used the bottom right corner of the sheet of DSP for the front and paired it with Soft Suede cardstock. No dividers in this one, it will hold all of my templates, measurements, and tutorials for projects I come up with or adapt, or print a small template for... I already have several in here! They were just floating around in different hidey-holes on my desk area. Now they are all safely tucked into this book. Sometimes I will write measurements for a project on a notepad, then want to save them for future reference. All I need in those cases is a title and the measurements, and I will remember the rest. This little book is about 5"x7¼" and has ~60 pages. It fits very nicely in a little shelf I cleared out on my desk, right in sight and in reach all the time. 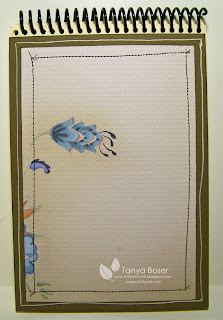 This is the back which is part of the same cluster of flowers from the lower left corner of the DSP sheet. 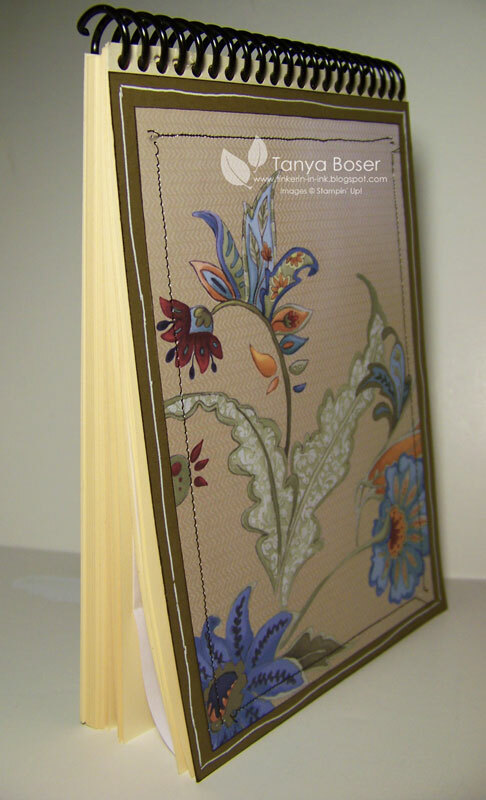 The layers were lightly adhered to the book, then stitched on with a sewing machine. Awesome idea! 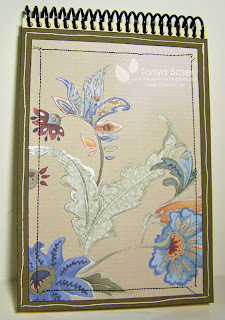 What a great way to show off that beautiful paper and keep your inspiration ideas together. Gorgeous! I didn't like the paper much at first glance, either, but I LOVE what you are making with it! How pretty! I also wasn't immediately drawn to this paper, but this is a great way to showcase it! The book is so pretty and such a good idea, too. And thanks for the info on the blender pen and paint - what a nice touch! Another beauty! 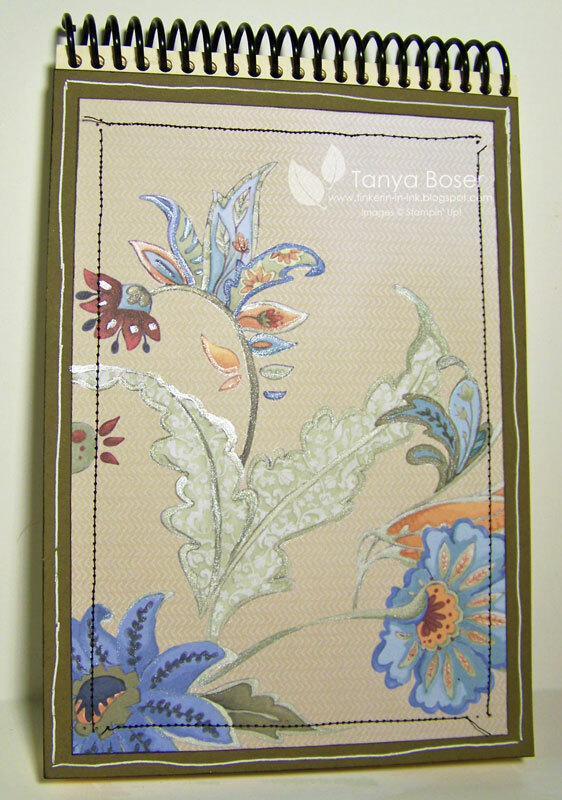 Love all your books that you are creating with this paper! I was immediately IN LOVE with this paper, and you've really made it "shine" here! Great tip with the Blender Pen and the Shimmer Paint. Love the notebook! Big Shot Brilliance Has Begun! !